Following my interview with Jo Malone. 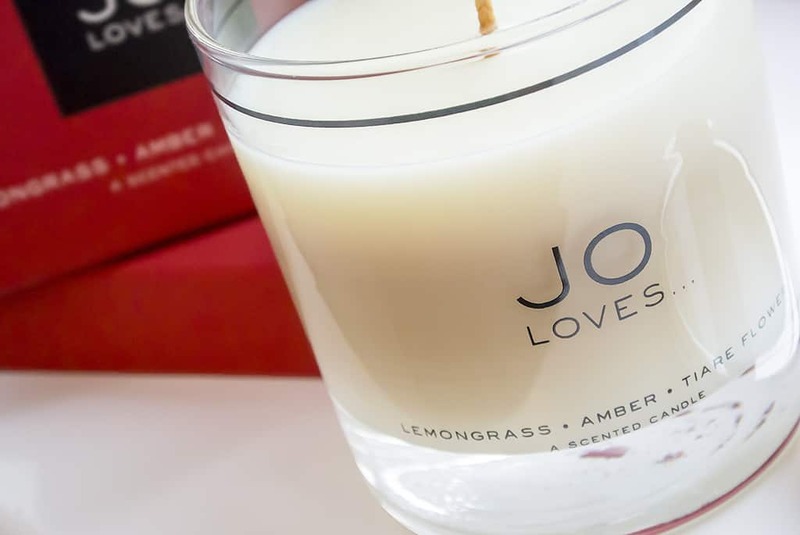 published here last night, I had to share with you my new favourite home fragrance candle from the Jo Loves collection – Jo Loves Lemongrass, Amber, Tiare Flower, Layered Scented Candle. As it burns down through the 3 uniquely delicious fragrances that both contrast and compliment each other, you feel as if you’re getting 3 fabulous candles in one. For me this is perfect as I often loose interest in many candles I buy, often by the time they burn to about half way down I feel “Ok, I know that’s what you can do, I’m bored with that, give me something different.” So a triple layered candle is just the answer I was looking for. 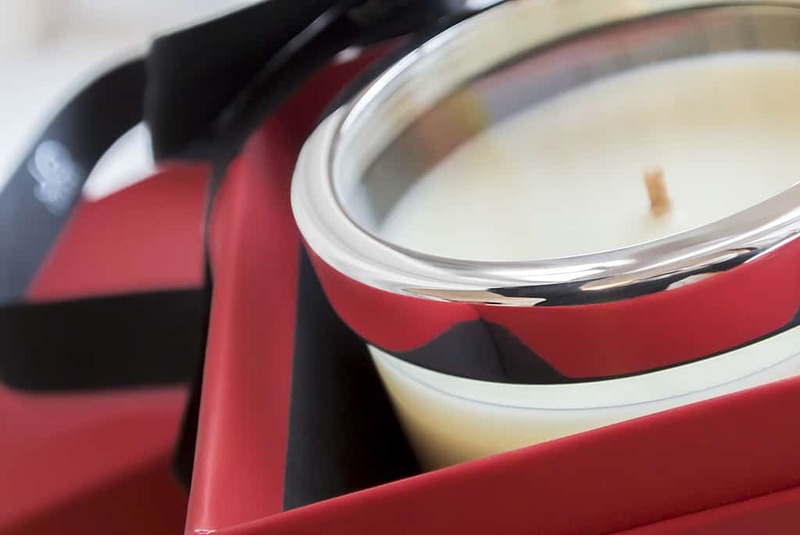 The candle is packaged in Jo’s signature red and black, matte varnished box finished with a single black, logo emblazoned ribbon, tied at the top in a bow. The product exudes luxury before you even open it and it makes you want to savor the unwrapping. One inside, the candle is firmly nestled inside the black padded surround, housed under a weighty silver and glass lid. Under the lid is a large semi-translucent Jo Loves sticker, locking the fragrance inside, ensuring that your candle is kept at its most fresh. Removing the sticker, the most enchanting aroma of sharp and fresh yet slightly sweetened Lemongrass surrounds you, just for a moment, which then immediately returns on lighting the thick, cotton wick. I’m not yet down to the layer or Tiare Flower, but I’m excited to get there as if it were an advent calendar counting down the days until Christmas. The Lemongrass fills downstairs with this incredibly, yet not overpowering aroma; as it began to blend into the Amber, the air became sweeter with the scent of the lemongrass being undercut by a caramel and chocolatey warmth. The worst thing about the candle? Having to blow it out. I know it needs to be savoured and looked after, but I could honestly have this fragrance blend permanently channeled into every room of my house. The JO LOVES Lemongrass, Amber & Tiare Flower Candle is available direct to order form the JO LOVES website. This article first appeared on MANFACE written by Thom Watson. It was published on Monday 11th February 2013 and was last updated on Monday 3rd April 2017 at 3:54pm. It's categorised under JO LOVES, Lifestyle where you'll find more related content.